You're Approved GET STARTED NOW ! The Millennial generation represents the largest generation in U.S. history. They represent 27% of the worldwide population, or about two billion people. These young adults are changing many aspects of everyday life. What makes this generation (ages 18 to 29) click? In at least North America and Europe, they’re “hyper connected” and tech-savvy. Smartphones keep them connected day in and day out. Multiple industries are changing to accommodate this generation, including the worlds of banking and other financial services. Everything’s going digital and Millennials’ attachment to mobile phones puts the payments industry in the crosshairs too. And that means that ecommerce merchants need to adapt as new forms of digital payments come along. Or, you’ll risk missing out on a share of the $165 to $200 billion in buying power represented by eighty million Millennials in the U.S. alone. Millennials also demonstrate a sense of frugality their parents’ generation did not. Most in the U.S. (63%) don’t have a credit card, and don’t want one — compared to 35% of the population over the age of 30 (according to a survey by Bankrate.com). They prefer to use debit cards and other forms of digital payments such as digital wallets. Yet the Millennial generation shops online… a lot. And they’re comfortable with digital payments —a natural fit for online stores. Ecommerce merchants must ensure that the secure payment processing options offered appeal to these young adults. Let’s take a look at preferences and what you can do to attract and convert them. Millennials use mobile phones to stay connected on social media, talk to (or text) one another, surf the net for things they need or want, and frequently to pay for things — while insisting on secure payment processing. If they don’t trust the security of your site, they won’t buy. Concerns about identity theft and security are front-and-center, and may be stopping many of them from buying. Mitek surveyed 3,010 millennial smartphone users in North America and the U.K. While most make some purchases with mobile, nearly half expressed concerns about the security of their data as “a barrier to conducting more transactions by mobile.” And 20% said that the mobile experience isn’t good enough yet to use regularly. One reason? Maneuvering through the shopping carts on most ecommerce websites is difficult (and boring) on smartphones. Of course, a large portion of the cart abandonments results from people browsing online, doing comparison shopping, before buying either online or at a retail store. But Baymard Institute suggests 35% — or a whopping $1.4 trillion — are convertible to sales. How should ecommerce merchants do that? By improving the checkout and secure payment processing components of your website. Customers prefer a shorter, clearer checkout process. Don’t make them jump through hoops when what they want to do is close the deal and give you money. A simple checkout process that’s standard in the online retail landscape requests name, shipping address, payment card number, CVV or CVV2 code is what most people are accustomed to. Returning customers will be even happier when you fill in the blanks for them from account records they established last time. Offer the most relevant secure payment processing options that your customers want. Along with the major card brands, shoppers in different regions want to pay with the card brands familiar to them. 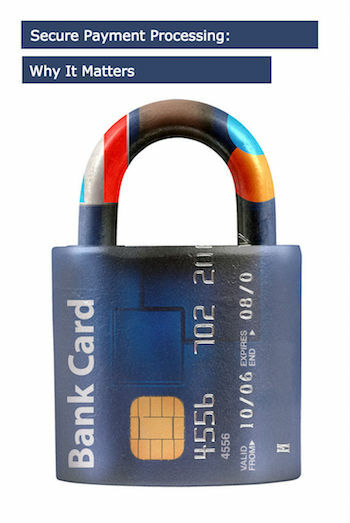 Strengthen your website’s security and fraud prevention — insist on a Payment Card Industry Data Security Standard (PCI-DSS) Level 1 payment gateway. Implement robust business processes to ensure and maintain stronger security measures. Currently, about 42 percent of Millennials limit their own mobile transactions due to security concerns. Attract them to buy from you with the right secure payment processing options. Business owners can expand their customer base by offering the types of secure payment processing options people want in every region of the world where you plan to operate. For Millennials, that often translates to mobile payments and digital wallets. Working with the right payments processing partner — who’s expert in international payments — can help you do that. Choose a partner who specializes in the ecommerce space, who also understands your industry, and who supplies processing for multiple payment options. Doing so means you can deliver the ideal, personalized, integrated and seamless experience demanded by customers — of all generations. GET MORE ADVICE, NEWS BITS, AND PROMOTIONS STRAIGHT TO YOUR INBOX.